Reigning champions Germany arrived in Russia on Tuesday to join the World Cup party as Belgium downplayed an injury scare over star player Eden Hazard in their final warm-up match. Gareth Southgate's youthful England team are also due to touch down as excitement mounts ahead of Thursday's opening fixture in Moscow between host nation Russia and Saudi Arabia. Joachim Loew's side went five games without a win before labouring to a 2-1 victory over Saudi Arabia in their final warm-up and first-choice goalkeeper Manuel Neuer has been injured and hardly played since September. 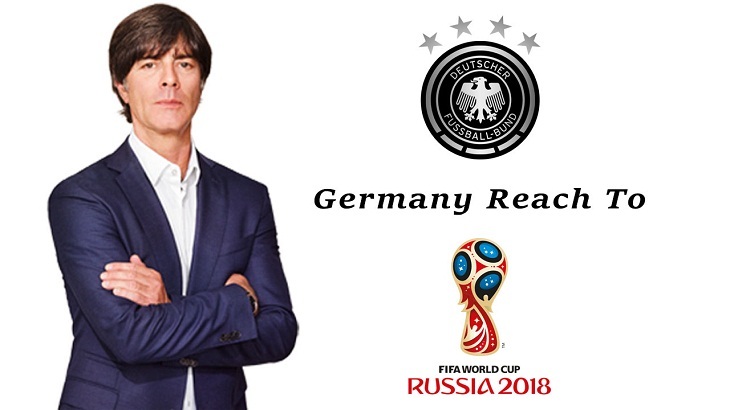 Loew warned Germany's rivals had all made strides since 2014. "There will be a high standard of opposition. Spain have improved, while Brazil and Argentina are up there," he said. "We have a young, hungry team that wants to achieve greatness. We want to bring the country together and achieve something great," said Tottenham forward Alli. England's Group G opponents Belgium showcased their talents in a 4-1 victory against Costa Rica in Brussels on Monday, featuring two goals from Manchester United forward Romelu Lukaku and a glittering performance from Chelsea's Hazard. Hazard limped off with 20 minutes to go but coach Roberto Martinez brushed off concerns, saying there was "nothing to worry about". "He's very strong, he just had a dead leg towards the end of the match," he said. Brazil and Neymar attracted an army of excited youngsters -- including one who managed to break onto the pitch for a selfie -- as they held their first training session on Russian soil. Around 5,000 locals turned out to watch the relaxed session next to the Brazilians' hotel in the Black Sea resort city of Sochi. "Neymar is doing great, thanks to God," said goalkeeper Alisson. "I think the way the whole process has been dealt with was perfect. He has fully recovered." A FIFA evaluation report earlier this month classified the north African nation's stadiums, accommodation and transport as "high risk", leaving the North American bid as the clear frontrunner. On Monday, bid leader Carlos Cordeiro urged FIFA members to vote on the "merits" of the bid, and not on Trump. Russia beat England in the race to host this year's tournament but the 2010 vote has since been tainted by bribery allegations.